Can your students find the patterns in numbers? 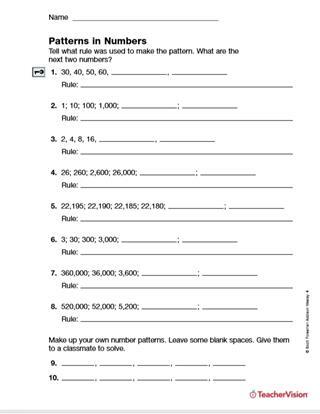 In this packet of four worksheets, students determine the pattern rule, then continue it. Patterns consist of repeated single operations, such as doubling, adding, or multiplying. This resource can be used in class, or assigned as a take-home or independent study activity.